The recently released, previously classified report titled, “Joint Inquiry into Intelligence Community Activities Before and After the Terrorist Attacks of September 11, 2001″ (.pdf), reveals that indeed long-time US ally, Saudi Arabia, had connections to the alleged hijackers who purportedly carried out the 9/11 attacks. While the US would go on to invade Afghanistan and Iraq predicated on the 9/11 attacks, it should be noted that all of the alleged hijackers were either Saudis or Persian Gulf citizens, or connected to terrorist organizations supported by Persian Gulf states. The Western media has attempted to downplay the impact of the document’s release, claiming that subsequent investigations found “many” of the allegations in the document “without basis” – even as the US and Saudi Arabia today openly arm and fund terrorists in Syria. Many mistakenly believe on one hand terrorism is simply an inevitable clash of civilizations between “Islam” and the West, while others maintain it is the predictable backlash to flawed or unjust Western foreign policy. In reality, it is neither. It is meticulously engineered violence used as a tool for achieving geopolitical objectives around the world – from overthrowing governments and justifying military interventions, to creating paralyzing fear and hysteria at home to garner support for a growing domestic police state and a large military footprint overseas. In essence, it is a highly conductive medium through which modern day empire can spread. This can clearly be seen through the use of terrorism today. Some 14 years after the September 11, 2001 attacks, and as memories begin to fade, the US finds itself partnered with Saudi Arabia once again, arming and funding terrorists to fight their proxy wars in Libya, Syria, Iraq, and beyond, just as they did in the 1980s when they jointly created Al Qaeda to begin with. As the pendulum of geopolitical necessity swings from needing heavily armed, fanatical proxy forces to fight abroad, to needing a pretext at home to initiate large-scale military interventions overseas, these terrorist organizations are characterized by Western politicians and the media in a similarly shifting manner. During the 1980s Al Qaeda was portrayed as “freedom fighters.” In 2001 when the United States sought to use full-scale military force to rearrange the Middle East, North Africa, and Central Asia, Al Qaeda was transformed into a villain. The 2001 terrorist attacks allowed the US to justify over a decade of global-spanning war that it otherwise would have been unable to wage. The 28 pages now declassified depicts a tangled web of connections between the Saudi government, Saudi intelligence agencies, the Bin Laden family, and the hijackers – most of whom were Saudi citizens themselves. While in the United States, some of the September 11 hijackers were in contact with, and received support or assistance from, individuals who may be connected to the Saudi Government. There is information, primarily from FBI sources, that at least two of those individuals were alleged by some to be Saudi intelligence officers. The report also reveals that the suspected Saudi intelligence officers worked for companies that had ties to both the Saudi government, and Al Qaeda leader Osama Bin Laden (spelled: Usama Bin Ladin throughout the report). And not only did various Saudi intelligence officers have connections to the alleged hijackers, several are revealed to have known each other as well. Mentioned also is Osama Bin Laden’s half-brother, Abdullah Bin Ladin, claimed to have worked for the Saudi Embassy in Washington D.C. as an “administration officer,” revealing once again the incestuous ties between the Bin Ladin family, the Saudi government, and through equity firm – the Carlyle Group – the Bush family and other political and business leaders in the United States. The report also mentions that despite the many apparent links, and attempts by the FBI to investigate them further, many suspects were inexplicably able to “leave” the United States and return to Saudi Arabia. The report also referred to “mosques” either directly funded by the Saudi government in which various aspects of terrorism were thought to be coordinated, or mosques in which associates of the hijackers met frequently or operated out of. This illustrates precisely how the US-Saudi terror enterprise keeps its ranks full – through a global network of centers masquerading as mosques, protected by law enforcement and intelligence organizations linked to the West, allowing for both the recruitment and radicalization of terrorists, as well as the planning and financing of terrorism itself. US Intelligence Community Before 9/11: Incompetence or Collusion? Or Both? The US and Saudi Arabia helped create Al Qaeda and for years used the organization to wage proxy war around the world. It’s actions on 9/11 then helped set the stage for a decade of war in which the US toppled governments, occupied nations, while conducting covert warfare against others, expanding US hegemony across the globe, and dividing and destroying nations allied to its rivals in Beijing and Moscow. 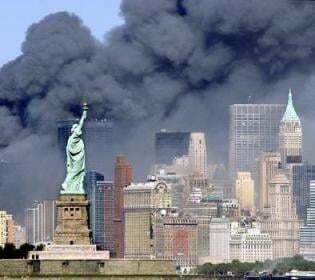 It is very clear that Saudi Arabia played a role in the 9/11 attacks, as well as in terrorism of all kinds around the world before and after the attacks. Clearly the FBI and the CIA both were aware of Saudi Arabia’s role. It is also clear that efforts were made to protect valuable Saudi assets by spiriting them out of the country as dutiful agents attempted to do their jobs by investigating them further. Those who spirited Saudi agents and officials out of the country, protecting them from further investigation regarding their role in 9/11, are likely linked to those Americans who helped their Saudi counterparts organize and carry out the attacks. And while some FBI and CIA agents attempted to do their job, one comment toward the end of the 28 pages reveals that perhaps agents were not as aware as they should have been regarding the nature of Al Qaeda and its relationship to Saudi Arabia. Basically [redacted]. They were not a country identified by the State Department as a state sponsor of terrorism. And the theme or the common modus operandi that we saw in San Diego was that if there were [redacted] there, their primary objective was to monitor dissidents in the interest of protecting the royal family. So they were not viewed as an inimical threat to national security. The agent’s conclusion is based entirely on the assumption that the State Department’s terrorist designations are meaningful and accurate. If such designations are not accurate, then the FBI would have neglected to fully investigate suspects who were indeed very much an inimical threat to national security. Today, Al Qaeda and the self-proclaimed “Islamic State” (ISIS) are likewise portrayed as enemies of Saudi Arabia. This is despite clear evidence showing both terrorist organizations and their affiliates in Iraq and Syria, are armed and funded by, as well as working in the direct interests of Riyadh – as well as Washington. When terrorist attacks do unfold in Saudi Arabia, despite being portrayed as attacks aimed at Riyadh itself, they are often instead aimed at Shia’a targets throughout the country. Shia’a in Saudi Arabia, unlike Al Qaeda and ISIS, do represent a threat to Riyadh – not predicated on fanatical extremism – but instead upon self-defense against the brutality and injustice of the Saudi political system which specifically targets Shia’a. It appears that some agents, despite laboring under faulty assumptions, did attempt to do their jobs, while others appear to have been protecting suspects very likely tied to the 9/11 attacks, and possibly even tied to the attacks themselves. Together, through incompetence and collusion, the attacks unfolded, and the rest – as they say – is history. While the Western media now claims that many of the declassified report’s allegations have been found to be “without basis,” the heavy redaction throughout the report leads one to believe that Saudi Arabia and the various tentacles of its security apparatus reaching into the United States are still being covered up by complicit American agents and interests. Additionally, despite the very troubling implications of the report’s contents, it should be noted that in the aftermath of 9/11 the US, along with Europe, continued supplying Saudi Arabia with billions of dollars worth of military weapons while politically supporting Riyadh during its own brush with the “Arab Spring” in 2011. Today, despite evidence of Saudi Arabia’s arming and funding of designated terrorist organizations including Al Nusra, the US and Europe continue lending military and political support to Riyadh nonetheless. Saudi Arabia didn’t victimize the United States on 9/11, nor trick Washington. Riyadh and Washington are partners in crime, at times in lockstep, at other times posing as adversaries when maximum plausible deniability is desired. Despite attempts to claim Saudi Arabia is blameless in the 9/11 attacks, the hijackers were undoubtedly Saudis, inspired by indoctrination that originated in Saudi-funded networks, allegedly approached and assisted by Saudi intelligence agents, and representative of terrorist organizations Riyadh to this day still arms, funds, and uses to wage it and America’s proxy wars with. The report is not really a revelation, but instead another piece of evidence that affirms the US and Saudi Arabia are collaborators in terrorism, not partners fighting it. Those who depend on either in a true fight against global terrorism, should be prepared for perpetual failure.